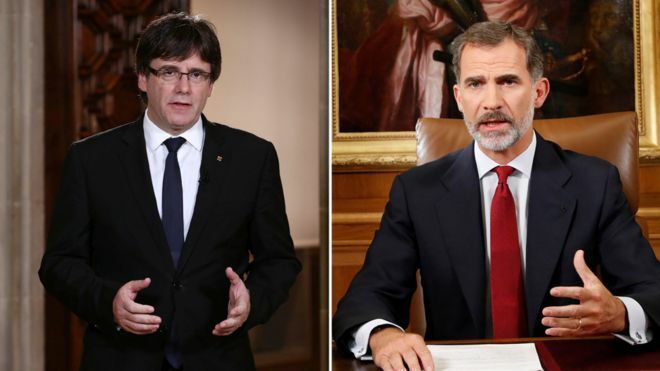 In response, the Spanish government in Madrid said it would not accept "blackmail" from the Catalan leader. Mr Puigdemont must return to the path of law before any negotiation could take place, it said said in a statement (in Spanish). His criticism of the king showed that he was "out of touch with reality," it added.